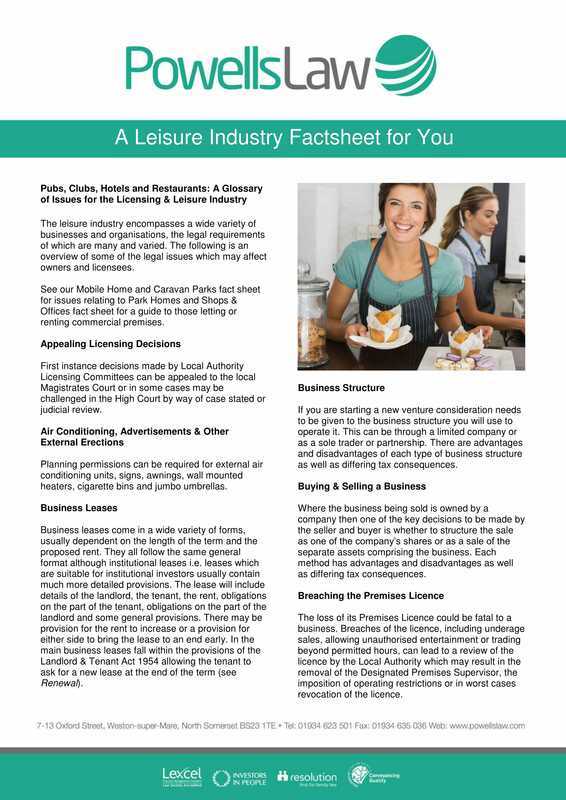 The leisure industry encompasses a wide variety of businesses and organisations, the legal requirements of which are many and varied. The following is an overview of some of the legal issues which may affect owners and licensees. See our Mobile Homes and Caravan Parks fact sheet for issues relating to Park Homes and Shops & Offices fact sheet for a guide to those letting or renting commercial premises.